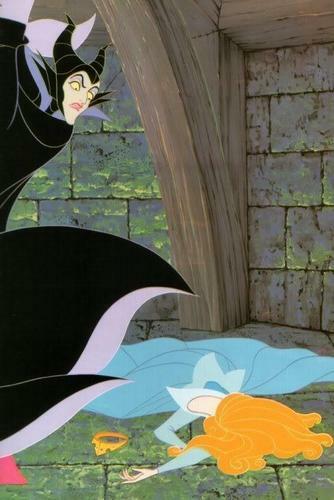 Aurora and Maleficent. . HD Wallpaper and background images in the Sleeping Beauty club tagged: sleeping beauty animated movie aurora maleficent. She looks so flat and broken...like she turned into paper and got scattered all over the floor! Scary!